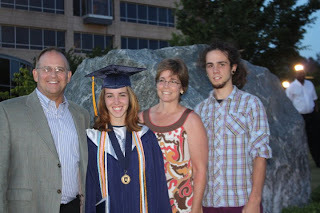 I attended my niece's gradation on Friday night. Katie Burlas graduated from Wheeler High School with High Honors. She has earned a 4-year scholarship to the University of Oklahoma. Congratulations Katie! Sitting in a graduation service always takes me back to my own and to our children's graduations. It is always a special occasion packed full of memories. Time goes by so fast and life can seem so short. Treasure each day. 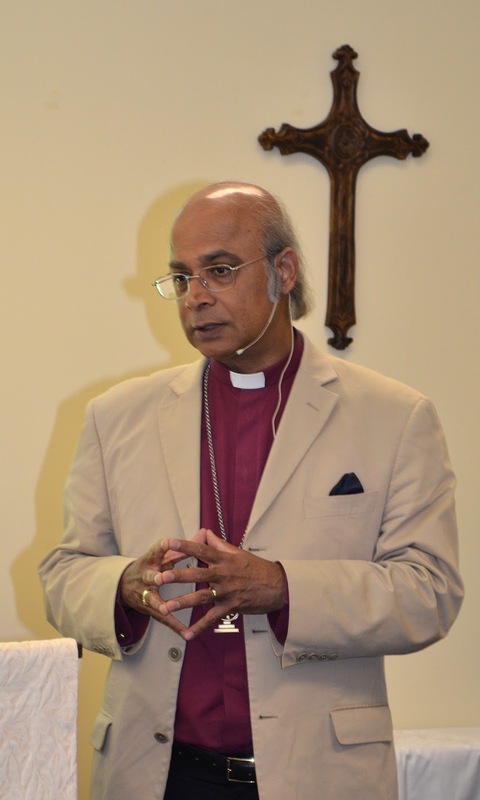 Bishop Michael Nazir-Ali speaks to a luncheon of the Clergy of the Anglican Diocese of the South and Atlanta Area Anglicans at Holy Cross, Loganville. On May 15th, I visited Holy Trinity, North Augusta to preach, confirm, and receive new members into the church. We found a packed church alive with the Holy Spirit, filled with intercessors and numerous Daughters of the Holy Cross, and excited about the vision God has given them. After the service we enjoyed a wonderful meal and good fellowship -- even reuniting with old friends from Atlanta who now members of the congregation. The tornadoes which ravaged the southern United States last week left thousands homeless, over 300 dead, and countless lives turned upside down. It is very difficult to fathom 226 tornadoes (a U.S. record) in one day and the destruction they caused. For me it was a privilege to help out in a small way by joining a small team to deliver food and goods yesterday. A couple of thoughts. 1. People from our churches have been SO generous with their money and their time to help people they do not know. People from all over the country have given through our online website. I was awestruck by complete strangers in Walmart who came up to me and handed me money (10's, 20's, 100's) when they saw what we were doing. All had a comment similar to this: "I cannot go help you, but please take this and help someone who needs it on my behalf." Wow. Tears flow as I type this. 2. As we prepared for the trip, we kept praying about where exactly should we go. We wanted to go places which might have been overlooked and people would give us names. As contacts were called, we would hear, "our trailers are full right now, but thank you anyway!" Geoff Hattley, the Anglican pastor at St. Andrew's, Huntsville, has been quite active in relief efforts. He and one of his parishioners, Bob Graham, told us about Flat Rock, and their need. When we arrived Monday morning, Jan, the Relief Center Director, told us they had run out of food the night before and that she told folks, "the Lord will provide." The next day, we show up with a busload of food. After unloading the bus and since we still had funds available, we felt we should go back to a Walmart and reload the bus and go to another place. We were led to Rainsville and were told they needed tents, pillows, mops, brooms, etc. So we bought Walmart out. Like the Walmart in Douglasville, GA, they gave us a discount. While loading the bus at Walmart, a young county emergency worker, came up to me and asked if we could please bring some of the items up to Rainsville (he saw we were loading tents, etc.). When I told him that is where we were going, he teared up and said, "Praise the Lord!" 3. While at each sight, I felt impressed by the Holy Spirit, to ask the leaders of the relief centers if we could pray for them. Each time I and others could sense the power of the Holy Spirit as we asked God for strength, empowerment, wisdom, and provision as they did their job. Each Amen had tears on their faces. 4. We were not there to sightsee, and we did not see much of the damage. But what we saw was horrific. The power of wind is amazing and the destruction was tragic. Homes completely gone. Businesses in crumbles. Tents outside of what one could tell were wonderful homes. Trees mangles and twisted like the strings on a mop. A stark reminder of our human fragility and need for God. 5. We had folks from several different Anglican churches on the team (both ACNA and AMiA). They took time off work to go load and unload a bus. Ride half the night. Sweat most of the day. Not one complaint. A servant spirit is what I observed. Hopefully, someone will take another look at Jesus because of our witness and service for Him and to Him. 6. Bob Graham, a lay-person from St. Andrew's, Huntsville, has been interviewing folks and posting pictures. You can check out their stories at www.stormHOPE.org. 7. Please remember to pray for all the victims of these storms in the coming days and weeks. Out of the news does not mean their suffering and trials will be over. May God reveal Himself to these folks in their time of need in Jesus Name. Amen. The folks who helped unload our bus. With all these folks (and others), it took us over an hour to unload all the stuff on the bus. Thank you Lord! Jan, the supervisor of this relief center. It was an incredible blessing to help her and pray God's blessing on her and her fellow workers. We were not there to sightsee, but the pictures do not describe the devastation adequately. Some of the items we supplies for the folks in Rainsville, AL. Dan and Fr. Greg with the folks running the Rainsville Relief Center. We also prayed for them. Leaving Holy Cross, the bus was loaded with a lot of goods (but not full) thanks to the wonderful people of Holy Cross. Next stop: Trinity Church, Douglasville. Several churches had dropped off food and we were joined by Pastor Greg Goebel of Resurrection Anglican in Woodstock. The bottom storage in bus was filled completely and the inside of the bus was beginning to be filled when we left Trinity Church. Some of the 23 buggies we filled up at Walmart in Douglasville. Some of our team with our new friends at Walmart who not only helped us load the bus, but gave us a discount as well. The Spirit of God puts the people of God into the presence of God. And in His presence, the Spirit reveals God's purpose to the church He would use. He then waits for our response. We needed to be a God-centered and God-saturated church. This required of me as a pastor the same thing it required of Jesus with His disciples: teaching, teaching, teaching. The Scriptures were our textbooks, and I and others were the teachers. When great faith is required, great patience is required as well. The necessity of prayer became a costly experience for as well. So much work was being attempted, and we were impelled by God's Spirit to pray. In everything we did, we were in prayer throughout our days and late into our nights. --- From What the Spirit is Saying to the Churches. This past Sunday I visited Trinity Church, Douglasville, where Canon Steven Saul is the rector and the congregation is alive and growing. We confirmed 9 people and received almost 30 folks. We commissioned a Music Minister and had a delightful day of worship. My sermon was on the Resurrection Message of Belief... http://www.holycrosspodcasts.org/C1-media;show,87. After the service, the congregation gathered for an incredible feast and time of fellowship. We have all heard about the devastating tornadoes in Alabama, Georgia, and Tennessee last Wednesday. I am writing to ask for your help with assisting those on the ground attempting to help those in need in the Name of Jesus Christ. Our target of help is going to be a number of the small towns which have been devastated but are not getting all the publicity. 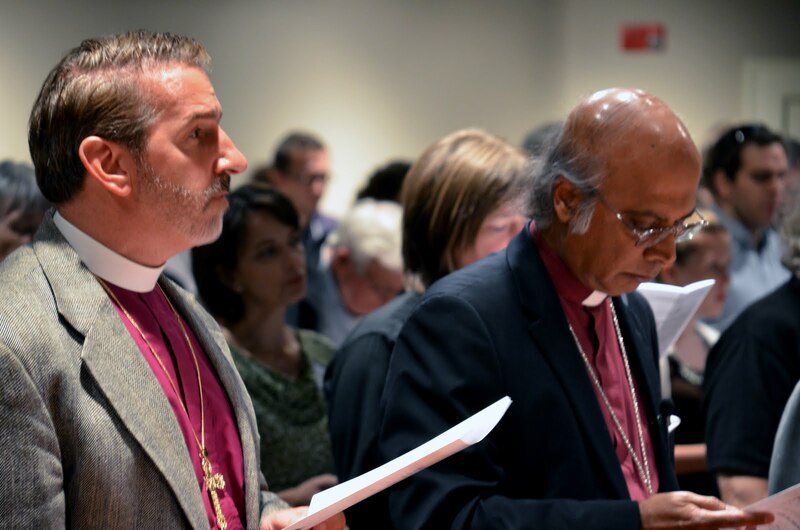 There are three specific ways you can help the Anglican Church reach out to those in need. Baby formula (also Soy-based formula), Water, Gatorade, Paper towels, Toilet paper, Trash bags, Hand sanitizer, Wet wipes, Feminine products, Travel size toiletries (Body Wash, Soap, Shampoo, Toothpaste, Shaving cream), Toothbrushes, First aid kits, Bandaids, Ibuprofen, Razors, Ziploc gallon bags, Diapers, Baby wipes, Sippy cups, Non-perishable food items (such as crackers, chicken and tuna salad kits, ravioli, slim jim, cookies, peanuts, trail mix, granola/cereal bars, and other snacks), and Bibles. There will be three drop sites where you can deliver items by 6:00 p.m. on Sunday night. d. Holy Cross, Loganville, located at 3830 Oak Grove Road, Loganville, GA 30655. Second, you can make monetary donations which will be immediately converted in to purchased items or gift cards. You can donate through the Holy Cross website at https://www.holycrosspodcasts.org/donate?nologin=true. 100% of donations will go to help those in need. Third, you can keep folks in your prayers. People have lost loved ones; some have lost their homes; and some have lost all their possessions. Prayer for them at this time is important and crucial. Pray for those injured to be healed. Pray also that God will use this to lead people into a relationship with Him in Jesus. Allison and I were able to participate in the incredible ceremony on Saturday seating Bishop Roger Ames as the bishop of the Great Lakes Diocese. Great service. Holy Spirit anointed. Jesus Christ exalted. Let us pray for Bishop Ames and his parish, St. Luke's Akron, as they begin their new ministry. St. Luke's will be the Pro-Cathedral of the diocese. They will have to leave their building in the coming months after purchasing it and their parishioners paying for it. 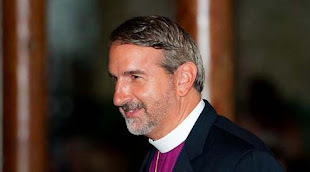 Having been in the Episcopal Church before becoming Anglicans, the courts have ruled that even though the Episcopal Church did not pay for it or actually ownt i, the buildings and property now belongs to them. Unbelievable. But our God is a faithful God, and He will be faithful to those who have been faithful to Him. Again, a great day in Ohio and the Great Lakes Diocese! !